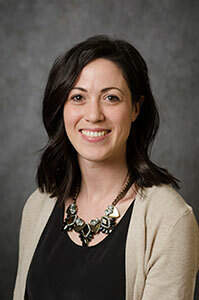 Jenna Heffron holds a PhD in Disability Studies from the University of Illinois at Chicago (UIC) and a Master's degree in Occupational Therapy from Quinnipiac University. She has practice experience as a school-based occupational therapist; her research and teaching interests include community participation, intersections of disability and healthcare professional identities, curriculum design and development, and the reconceptualization of client-centered practice. Jenna was a 2013-2014 Albert Schweitzer Fellow and is active within the disability community. In collaboration with other disability community members, she has developed and implemented disability awareness curricula to educate students and healthcare professionals about disability identity, culture, and sociopolitical factors impacting the disability experience. As part of her dissertation research, Jenna used a participatory action research (PAR) approach to examine and address the extent to which disability community priorities are represented in occupational therapy educational curricula. At Ithaca College, Jenna teaches courses related to individual-, group-, and population-level practice, occupational science, and applied research within occupational therapy. Her current research projects include qualitative studies of: (1) experiences of occupational therapy practitioners with disabilities; and (2) occupational therapy practitioners' knowledge and application of disability studies perspectives.